Waze was already a popular, powerful crowdsourced map app before Google acquired it, but the navigation software is now better than ever before. Waze has so many features that even long-term users may not know everything that you can do with the app. We’ve rounded up some of Waze’s top tricks and tips so you can get the most out of the app. Head over to Settings via the magnifying glass, then go to Display & map, and choose Details on map. This will give you a list of icons that you can add or remove from Waze maps. Use this list to customize what you want to see and keep the map fromgetting too crowded with icons. You can choose icons for other Wazers, police, crashes, traffic jams, construction, and more. Remember, some of these icons depend on crowdsourced information, so they aren’t always accurate: It may be worth experimenting with a few icons to see how dependable they are in your area. Waze is set to automatically pick the route that takes the shortest amount of time, based on what it knows about the area. However, sometimes Waze doesn’t get it right, or doesn’t include other travel information that may influence the roads you take. That’s why it’s a good idea to open Routes in the Waze app, which allows you to cycle through a number of possible routes to your destination. Then you can pick the route that avoids known trouble spots or includes a stop you need. With the Arrive At option (which you may be able to find via Find the best time to leave depending on your version of the app), you will be able to choose a number of times to arrive at your destination. Waze compares this with traffic at that time, and gives you a suggested time period to leave by. It’s handy if you don’t want to be late. When Waze is giving you directions, you will notice a central button that says Send ETA in your route info. This will open up your contacts and allow you to instantly message an updated ETA to a friend or family member. It’s particularly useful if you hit a traffic jam or an unexpected wait and want to make sure no one freaks out when you’re late. There are a couple different ways you can edit Waze maps to include more information. Currently, you can add a place to a Waze map, submit a report, or edit the streets on a map to make it more accurate. To add a place simply select the orange speech bubble in the lower corner of your map directions. From here, choose Places. Waze will then encourage you to take a photo of the location, and choose whether it’s a residential location or a business location. Finish labeling, then select Done, and the location will be saved to the map. General reports, on the other hand, are used to update a map on ongoing events, such as changing gas prices, road closures, road hazards, and so on. If you look at the other report options beyond Places, you will see such options as Map Issues, Gas Prices, and so on. Use them for more temporary road conditions. Finally, if you are really serious about editing maps to make them more accurate, visit the Waze Map Editor. Sign in here, and Waze will run you through the tutorials you need to adjust roads and locations to better match the real world. Waze has a motorcycle setting. To find it, go to Settings, then select Navigation. Scroll through the options until you find one for Vehicle Type. You can choose between Private, Taxi and Motorcycle. If you set the app to Motorcycle, then Waze will start looking for more motorcycle-friendly options when creating directions for you. If you use the voice directions setting, you should really check out Waze’s plethora of voice options you can play with. Head to Settings, choose Sound & voice, and then pick Voice directions. Waze offers a ton of different voices to choose from around the world, including multiple dialects and accents — and even a few celebrities. You can also record your own voice or the voice of a loved one if you want to take the time to record all the instructions yourself. While Waze is giving you instructions, you can swipe up from the bottom of the screen to reveal your route command center. One of the options here will be Add a stop, usually with several icons next to it for gas, food, parking and so on. You can either pick a stop from your favorites if you have any stored there, or search for nearby locations to add to your route. This is a great feature for vacations and road trips, where programming in a few stops based on everyone’s needs is beneficial. Go to Settings, and select Planned drives. This gives you an option to connect to Facebook events (useful if that’s where you saw an event), or to connect one of your calendars so that you can choose your calendar events. As long as the location spaces are filled out in your calendar, Waze will be able to link up a route for you. It’s a great way to manage your events if you are frequently on the go in new areas. If there’s a chance that Waze will lose a connection where you are driving, you can download maps and instructions for offline use — as long as you are using an Android device (sorry, iOS users). Start by going to Settings and choosing Display & map. Scroll down until you find Data transfer and select this. Inside this window, you should see the Download traffic info option. Make sure it is enabled. 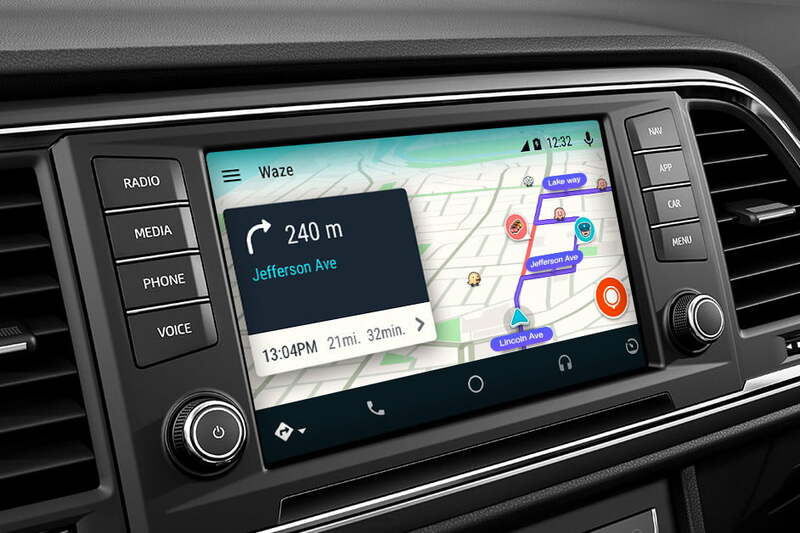 With this feature, Waze will download all your routes when they are created so that you will have access to the directions even without a data connection.